In den letzten Monaten war Professor Karl Wohlmuth sehr aktiv als Gutachter zu Buchprojekten (Routledge International Publishers, Palgrave Macmillan Publishers, und Oxford University Press), zu wissenschaftlichen Beiträgen (etwa für die renommierte Zeitschrift Comparative Economic Studies und für afrikanische Zeitschriften), und zu Forschungsprojekten (so im Rahmen der Innovations- und Technikanalyse (ITA) des Bundesministeriums für Bildung und Forschung (BMBF) in Berlin). Professor Karl Wohlmuth hat sich auch an der Evaluierung von Bachelor- und Masterstudiengängen an deutschen Hochschulen beteiligt, insbesondere auch von Dualen Hochschulstudiengängen, in denen neben der universitären Ausbildung die berufliche Praxis der zweite Schwerpunkt ist. Zudem ist der Professor auch an internationalen MBA-Programmen beteiligt, so etwa bei der Begutachtung von Masterarbeiten mit Bezügen zu ökonomischen Schwerpunktthemen Afrika. In recent months Professor Karl Wohlmuth has done a number of evaluations and reviews, of book proposals, book manuscripts, and book endorsements (for Routledge International Publishers, Palgrave Macmillan Publishers, and Oxford University Press), of journal articles (for prestigious Comparative Economic Studies and for African journals), and of research projects (so for the Innovation and Technology Analysis (ITA) initiative of the German Federal Ministry for Education and Research (BMBF) in Berlin). Also, Professor Wohlmuth was active in evaluating international Bachelor and Master study programmes at German universities and of Dual Higher Study Programmes (combining higher education with practical work in enterprises). Professor Karl Wohlmuth was also invited to support International MBA Programmes with regard of Master Theses on Africa-related Business and Economics Issues. This is to inform the public about new researches done by Professor Reuben A. Alabi who is now for three years in Bremen at the Excellence University to do researches on "Waste Management Value Chains in Nigeria. Lessons from Germany and the Country State of Bremen". The study estimated the effect of flood on the income distribution of the victims in Etsako East Local Government Area of Edo State. A multistage sampling technique was employed to sample respondents for the study. Questionnaire and interview schedule were used to obtain information from the farmers. The data obtained were analysed econometrically. The income inequality increased among the victims due to the lopsidedness of the distribution of the compensation. For example, the study indicates that the middle income group lost 18% of their income during the flood and they got only 13% of the total compensation, whereas the richest income group lost 33% of their income and received 44% of the total compensation. Corruption and nepotism/tribalism have been implicated for the skewed distribution of the compensation among the victims. The level of public spending on agriculture in Nigeria remains low regardless of the indicator used. Agricultural spending as a share of total federal spending averaged 4.6 percent between 2008 and 2012 and has been trending downward precipitously. In contrast, Nigeria recorded an annual average agricultural growth rate of more than 6 percent between 2003 and 2010, and agricultural gross domestic product followed an increasing trend between 2008 and 2012. Budgetary allocation to agriculture compared with other key sectors is also low despite the sector's role in the fight against poverty, hunger, and unemployment and in the pursuit of economic development. To develop the agricultural sector, all tiers of governmentfederal, state, and localshould increase spending. The state and local governments should step up efforts to increase internally generated revenue so as to reduce overdependence on allocations from the federation account. Professor Reuben A. Alabi is also contributing to Volume 19 of the African Development Perspectives Yearbook with an Essay on The Role Of International Organisations In Promoting Agricultural Export Trade In Sub-Sahara Africa. This study is done in cooperation with Professor Kehinde Omotola Adejuwon, Department of Agricultural and Resource Economics, Federal University of Technology, Akure, Ondo State, Nigeria. This study examines the role of international organisations in promoting agricultural exports in Sub Sahara Africa (SSA), with particular emphasis on IFAD, WTO, and especially the Aid For Trade (AFT) programmes. The study concentrates on four major export crops in SSA, such as cocoa, coffee, cashew and cotton. Professor Alabi is now cooperating since 2004 with the African Development Perspectives Yearbook project. Professor Karl Wohlmuth has just finalized a Background Study for a new UNIDO Project on Africa's Industrial Futures in the Digital Age. 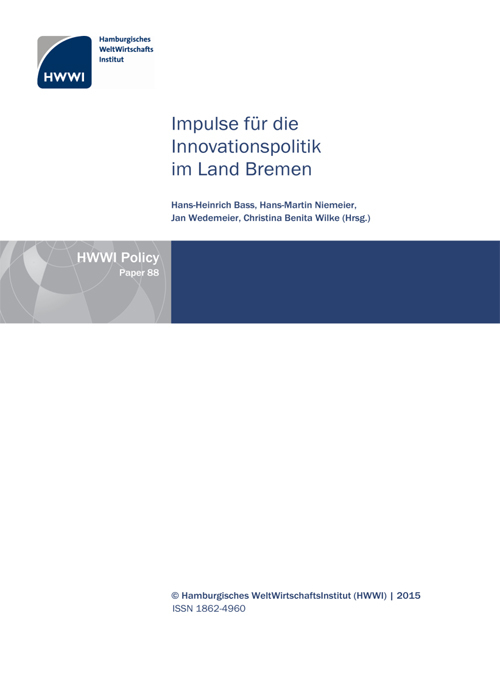 The Background Study is on the accumulation of technological capabilities (see for details the link to the Publications by Professor Karl Wohlmuth: http://www.iwim.uni-bremen.de/publikationen/pub-wohlmuth.htm ). The Economics Professor from Bremen analyses the possibilities to accumulate technological capabilities through digital media in African countries and especially so within African enterprises. The socio-economic context of the particular country and the particular firm plays a great role. The study first of all presents evidence about the technological heterogeneity in Africa, by looking at the most influential technological and ICT capability indicators. The accumulation of technological competences is imperative in order to include Africa into global digital manufacturing value chains. It can be supported also in Africa by specific policy measures, and by targeting structural and innovation policies accordingly. However, it is necessary to consider in the policy process the impact of the global techno-economic changes on the industrial structures, bottlenecks and opportunities in Africa. Decisive are the initial conditions in African formal and informal sector enterprises with regard of ICT competence and technological capabilities. In order to accumulate technological capabilities within African enterprises and African industry systems, it is necessary to adapt the national and regional innovation systems accordingly. It is argued in the Background Study that it is possible to adapt the pillars of the national and regional innovation systems in African countries in such a way that economic incentives for the accumulation of technological capabilities can become stronger. In various case studies the Economics Professor shows that this is also possible in less developed African countries. An Agenda for Strengthening Technological Capabilities is presented in the Background Study. Digital entrepreneurship, digital skills, and digital manufacturing play an increasing role in Africa, and networking within and between African countries and with the global ICT community facilitates the productive use of these new tools for manufacturing. New industrial development paths, along "remanufacturing", "green manufacturing" and informal sector manufacturing, benefit from processes of digitalisation and these offer new opportunities for African producers, also in terms of employment. New training and further education modules play a role in Africa and are already initiated by enterprises and training institutions. New developments in the innovation process, such as "open innovation", and new production modules, like 3D printing, give the manufacturing process in Africa already a new dimension. A shorter version of this Background Study will be published in a United Nations book on Africa's Industrial Futures. In this book international experts present their findings on the perspectives of industrial production in Africa in the digital age. Chapters deal also with digitalisation trends and impacts on Africa, manufacturing trends and opportunities in Africa, global structural changes as affecting industrial production in Africa, energy scarcity and climate change as factors impacting on Africa's manufacturing production, and developments with regard of new competitive sectors in Africa. The Expert Group is finalising the report quite soon and will also present policy recommendations to national governments in Africa, UN bodies, donor agencies, and enterprises. Professor Wohlmuth is involved in the expert group as a Consultant and as a Lead Author. Professor Wohlmuth has in earlier work for UNIDO presented studies on the technological strengthening of agro-industrial sectors in Africa (see the Link: http://www.unido.org/index.php?id=1001692 ). "Environment and Development Management Germany-Nigeria: Improving and Adapting Waste Management Value Chains"
Professor Reuben A. Alabi, IWIM's Alexander von Humboldt Research Fellow, leitet von Januar 2015 bis Dezember 2017 das Forschungsprojekt "Environment and Development Management Germany-Nigeria: Improving and Adapting Waste Management Value Chains". Der nigerianische Professor wird das international finanzierte Projekt an der Exzellenzuniversität Bremen durchführen. Erfahrungen mit den deutschen Wertschöpfungsketten im Bereich der Abfallwirtschaft sollen für die Umwelt- und Entwicklungspolitik in Nigeria nutzbar gemacht werden. Eine Kooperation mit deutschen und nigerianischen Unternehmen und zwischen deutschen und nigerianischen Universitäten ist im Projekt vorgesehen. Der nigerianische Professor wird in Bremen und in Nigeria regelmäßig über den Fortgang des Projektes in Seminaren und in Workshops berichten. Der Bremer Wirtschaftsprofessor Karl Wohlmuth ist als Konsulent und Senior Adviser im Projekt tätig. Die Forschungsgruppe Afrikanische Entwicklungsperspektiven Bremen unterstützt das Forschungsvorhaben und wird in einer Ausgabe des "Jahrbuchs Afrikanische Entwicklungsperspektiven" über die Forschungsergebnisse und deren Umsetzung in Nigeria berichten. Professor Reuben A. Alabi, an Associate Professor at the Department of Agricultural Economics of Ambrose Alli University, Ekpoma, Edo State, Nigeria and a former Alexander von Humboldt Research Fellow at IWIM, is the director of a new research project for the coming years 2015-2017 on the theme "Environment and Development Management Germany-Nigeria: Improving and Adapting Waste Management Value Chains". The Nigerian Professor has brought this internationally financed research project to the Excellence University of Bremen. Experiences with German value chains in waste management will be analysed and used for evidence-based reforms in Nigeria. A cooperation with German and Nigerian enterprises in the field of waste management is envisaged and also a cooperation between German and Nigerian universities and research institutes being active in the field. The Nigerian professor will also organize workshops in Bremen and in Nigeria to report on the research results and on the policy recommendations. Economics Professor Karl Wohlmuth is working as a consultant and senior adviser in this project. The Research Group on African Development Perspectives supports the researches. It is envisaged to publish volume 20 of the African Development Perspectives Yearbook on the theme of "Energy and Sustainable Development in Africa" using also material from the research project. A Fact Finding Mission (FFM) to Tunisia took place in November 2014 at the invitation of Professor Ezzine, President of the Tunisian Society for the Advancement of Science, Technology and Innovation. Participants were three members of the Research Group on African Development Perspectives Bremen (Professor Hans-Heinrich Bass, Bremen; Professor Achim Gutowski, Hamburg; and Professor Karl Wohlmuth, Bremen) and from the Cultural Sciences Professor Dr. Cordula Weisskoeppel, University of Bremen. Also a young scientist from the University of Applied Sciences Bremen (from a research working group of Professor Bass) participated as a member of the team; he was responsible for drafting the detailed Minutes. The Fact Finding Mission (FFM) gave the opportunity to study Tunisia’s National Innovation System, to discuss with representatives of Tunisian government institutions and of Higher Education and STI institutions, and to meet ENIT university staff being responsible for new study and research programmes. There was also time to discuss about the future cooperation with Professor Ezzine and his team, especially on the new study programme Engineering and Technology Policy (ETP). It was agreed to support the programme when it starts in September 2015 in Tunis, by Summer Courses, Scientific Conferences, and by specifically developed lecture modules on innovation policies. 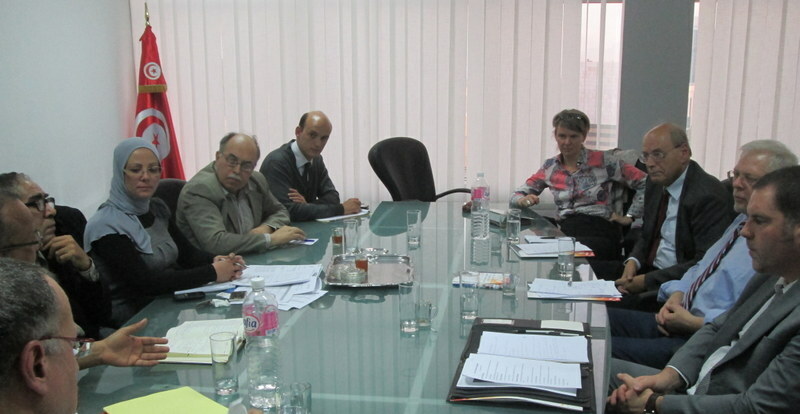 This first phase of the cooperation between Bremen and Tunis was financed by the DAAD. Professor Bass, University of Applied Sciences Bremen, was the main applicant. 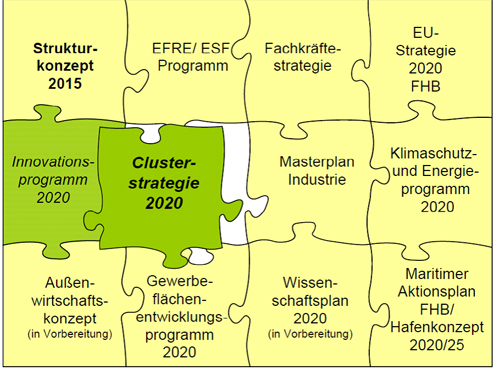 Further already scheduled programme components for 2015 are a Seminar in Bremen on Bremen’s Regional Innovation System and a Science, Technology, Industry and Innovation (STII) Policy Research Conference in Tunis. Professor Jelel Ezzine, President of the Tunisian Association for the Advancement of Science, Technology and Innovation (TAASTI), Ecole Nationale d'Ingenieurs de Tunis (ENIT), University of Tunis El-Manar (UTM), has invited the Research Group on African Development Perspectives Bremen to cooperate on the development of a Master Degree Programme in Engineering and Technology Policy (ETP) and on the establishment of an African Science, Technology and Innovation (STI) Policy Institute as well as on the creation of a Pan-African Innovation Ecosystem (PAIES). Tunisia’s success of its economic transformation process is dependent on progress in making STI a major force of growth and development. Of great interest and importance for the two delegations was the meeting with ADEA (Association for the Development of Education in Africa) staff in the African Development Bank Headquarters Building in Tunis. 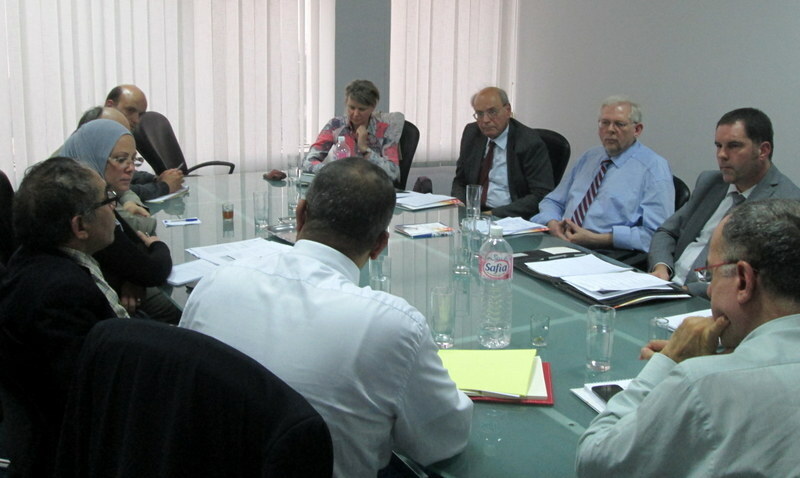 Representatives from ADEA, the University of Bremen, the University of Applied Sciences Bremen and from ENIT University discussed about ICT education and innovation policies in Africa, about the African Development Perspectives Yearbook Project, and about a cooperation between these institutions towards establishing the ETP programme at ENIT from September 2015 onwards (see the report by ADEA about the meeting: http://adeanet.org/portalv2/en/news/universities-bremen-and-tunis-el-manar-pay-visit-adea#.VKhq8clhLJk ). 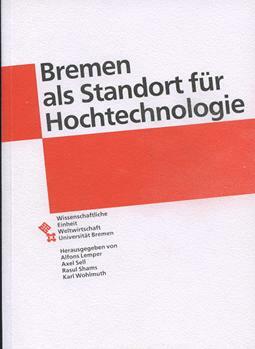 Various reports on the FFM to Tunis were published in Bremen in newspapers (see PDF) and also in online journals like The European (Web Access: http://www.theeuropean.de/hans-heinrich-bass/9297-tunesien-nach-den-praesidentschaftswahlen-hoffnung ). The two Universities in Bremen reported about the event in press releases (see for the Hochschule Bremen: http://www.hs-bremen.de/internet/de/einrichtungen/presse/mitteilungen/2014/detail/index_49269.html and for the University of Bremen: http://www.uni-bremen.de/universitaet/presseservice/pressemitteilungen/einzelanzeige/news/detail/News/unterstuetzung-bremer-oekonomen-in-tunis-willkommen.html?cHash=755d38f765e079e8488fd03561fdf373 ). See also the Photo Gallery for the FFM to Tunis (Photo Gallery). The Minutes of the FFM to Tunis are now available and can be sent upon request to interested experts intending to cooperate with universities in Tunisia.